DisplayLink is powering HTC’s upcoming official wireless adapter for the Vive Pro and Vive. 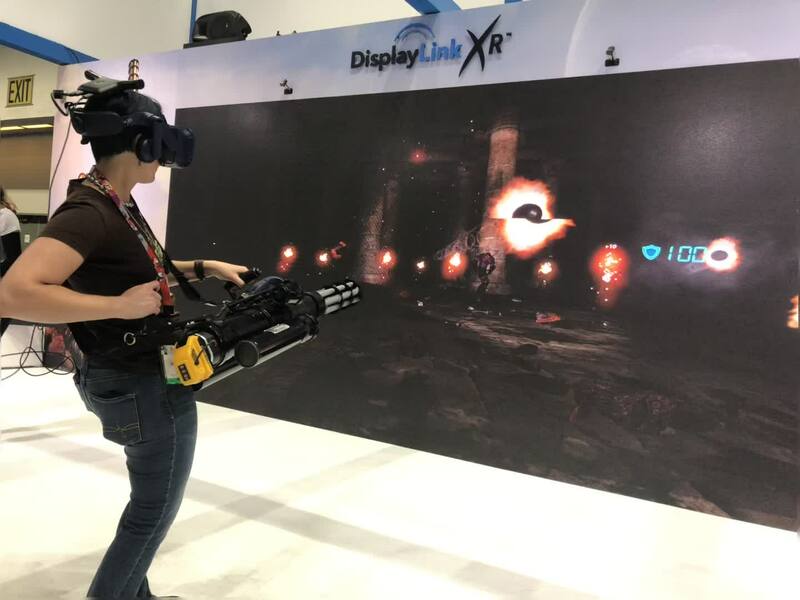 At E3, a pair of the adapters were shown wirelessly connected to Vive Pros alongside four of the 2.0 base stations tracking both headsets in a space roughly 25 feet by 15 feet. In addition, a giant physical display served as a backdrop to the co-op Serious Sam experience players tried, complete with gigantic physical Gatling guns players held to mow down virtual enemies.